Chances are that you’ve heard that ominous chant throughout the business world: “Retail is dead.” We call bologna. In truth, the only thing that’s dying is the era of brick and mortar stores being customers’ sole options. If you play your cards right, your revenue doesn’t have to decline as technology becomes more and more dominant. The trick is using it to your advantage. One of the most powerful ways to do that is to offer same day delivery from your retail store. Does same day delivery really make that big of a difference, you ask? Yes, it does, and here’s why. If you’re like many major retailers, you’re selling your items online as well as in your store. If it still takes a week for customers to receive their products, though, you’re missing out. 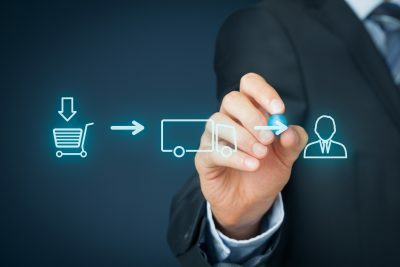 Here are seven reasons same day delivery is a must in 2019. While customers like to have options when they need them, they like to have favorites too. It makes their shopping more efficient if they can have a primary go-to store. Same day shipping can make you that go-to. Anything that helps customers will make them more loyal to you bit by bit. Customers will support the businesses that understand them and meet the largest number of their needs. That includes the need for fast delivery in certain situations. It’s short and simple: the more ways customers can get your wares, the more potential customers you have. 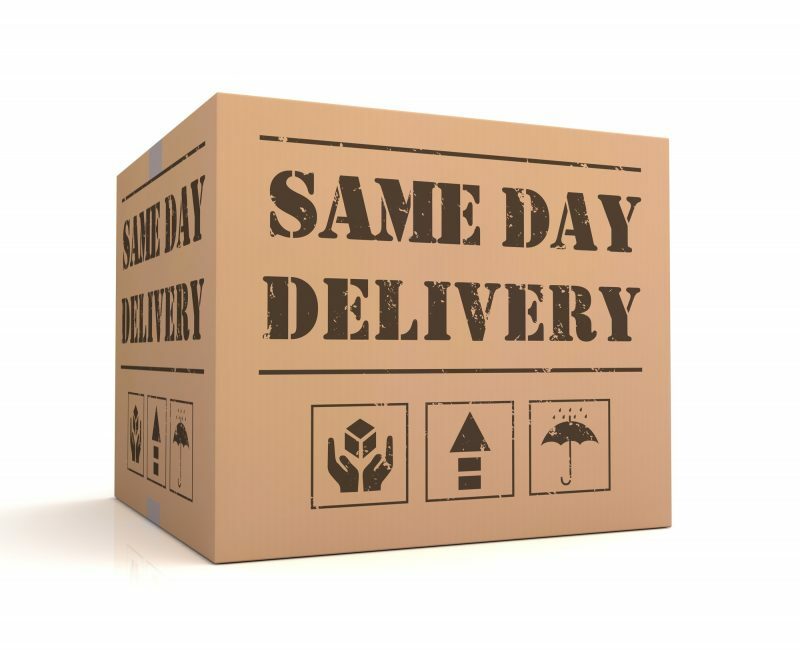 Whether or not you sell your products online, same day delivery opens up countless doors. Suddenly you can serve customers who are too busy to come to your store. You’ve also added customers who are homebound and those without transportation. You might think, “As long as I sell my products online, I’m reaching those subsets, right?” Wrong. In cases when those customers need something in a hurry, you’re as out of reach as you would be if you had no online store at all. Same day delivery is an essential part of the equation. Your customers have cravings and impulses, and you want to be the one who can fulfill them. Whether their primary purchase is an impulse buy or we’re talking about lucrative add-on sales, you want instant gratification to be an option. You want them to think, “This product would be great to have this afternoon.” Same day delivery makes this possible. There are certain purchases people rarely plan in advance. For instance, most people wouldn’t buy a soda online if it will take several days to get to them. If it will take care of their craving today, on the other hand, it’s fair game. When you offer same day shipping, you can add more products to your roster that are well-suited for a quick turnaround. A greater selection means more sales for you and more options for your customers, so it’s a win-win. Let’s say you’re a clothing retailer. Picture this scenario. A customer finds out she has a last-minute event to attend tomorrow night. She needs a dress for the event but her evening tonight is already packed full. She has no time to shop, so her only choice is to buy a dress online from someone who can deliver it tomorrow. If you don’t offer same day shipping, you’ve taken yourself out of the running for that sale. Instead, you need to add same day delivery as an option, make it known to your customer base, and put those deliveries in their hands on time. Customers won’t just know you’re an option, but that reliability will make you their go-to for emergency shopping. This is the retail reality for 2019 unless customers are looking for a specific experience. They’re most likely to opt for the convenience of online shopping. That doesn’t mean you have to surrender to Amazon and other giants. It means you need to get on board yourself. A whopping 94% of US consumers think it’s important to support small businesses. They’d rather buy from you than one of the “big guys,” but they can only do that if you offer the same advantages the big guys do. This is how same day delivery can help. It makes you competitive with the larger online retailers so you don’t have to fall victim to the shift from brick and mortar retail to eCommerce. There’s no denying that digital advertising is an essential tool for your success. It’s not just about having ads, though. It’s also about what those ads say. Offering same day shipping gives you a powerful call-to-action to make your ads more effective. It’s the perfect way to stand out from your competitors. Think of it this way. Which product ad do you think would be most effective? One that says, “You can buy this online,” or one that says, “You can buy this online and get it today”? If you want to make your business successful, you need to give it the tools to do so. You wouldn’t try to build a house without a hammer and expect to end up with a high-quality home in a few weeks. So why do you expect your business to get high-quality numbers without the tool of same day delivery? There’s no doubt that today’s retail world is competitive. You don’t have to be a victim, though. You can get all the benefits above and more with the simple step of offering same day shipping. To take that powerful step, reach out to our same day courier service today.